Greg Edelston: AAAAHHH, what a cut-off! Greg Edelston: That was a great show! Lots of fun to watch you having fun up there. MistOrSea: Surrender, Born To Run, amongst others. The in between song banter was fun, and I loved participating in the chat! I loved he song selection, I feel that he made an amazing choice of varied yet all around interesting songs that everyone could find enjoyment in. A lot of the songs I heard tonight were the first I've heard him ever play them! Wild Wild Horses, Surrender, Born To Run, amongst others. The in between song banter was fun, and I loved participating in the chat! I loved the song selection, I feel that he made an amazing choice of varied yet all around interesting songs that everyone could find enjoyment in. A lot of the songs I heard tonight were the first I've heard him ever play them! Wild Wild Horses, Surrender, Born To Run, amongst others. The in between song banter was fun, and I loved participating in the chat! Sam Edelston is on a quest to bring dulcimers into widespread public awareness. 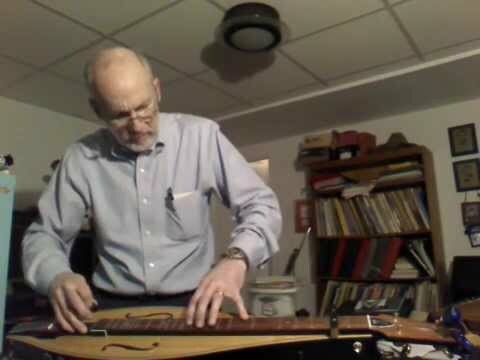 In the process, he has gained a reputation for bringing many kinds of modern, "mass-appeal" music to the mountain dulcimer. Based near New York City, he has performed at festivals as far away as Kentucky, Minnesota, and Louisiana, and his music has been heard nearly half a million times, and in over 190 countries. Sam's repertoire ranges from rock to opera, and from big band to bluegrass. He also plays guitar, banjo, and hammered dulcimer.